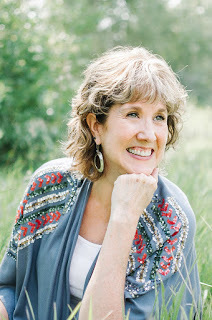 Award-winning author Beth K. Vogt believes God’s best often waits behind the doors marked “Never.” Having authored nine contemporary romance novels and novellas, Beth's first women's fiction novel with Tyndale House Publishers, Things I Never Told You, released May 2018, and book two in the Thatcher Sister Series, Moments We Forget, releases May 2019. She lives in Colorado with her husband, Rob, who has adjusted to talking about imaginary people, and their youngest daughter, Christa, who plays volleyball and has a keen eye for catching typos in her mom’s manuscripts. Here's a little bit more about Moments We Forget: Jillian Thatcher has spent most of her life playing the family peacemaker, caught in the middle between her driven, talented older sister and her younger, spotlight-stealing twin sisters. Now, Jillian’s on the road to recovery after finally finishing chemo and radiation, but residual effects of the treatment keep her from reclaiming her life as she’d hoped. Can Jillian count on her sisters as she tries to step into a stronger place—or will she always be “just Jillian,” the less-than Thatcher sister? Are We More Than Our Birth Orders in Our Family? 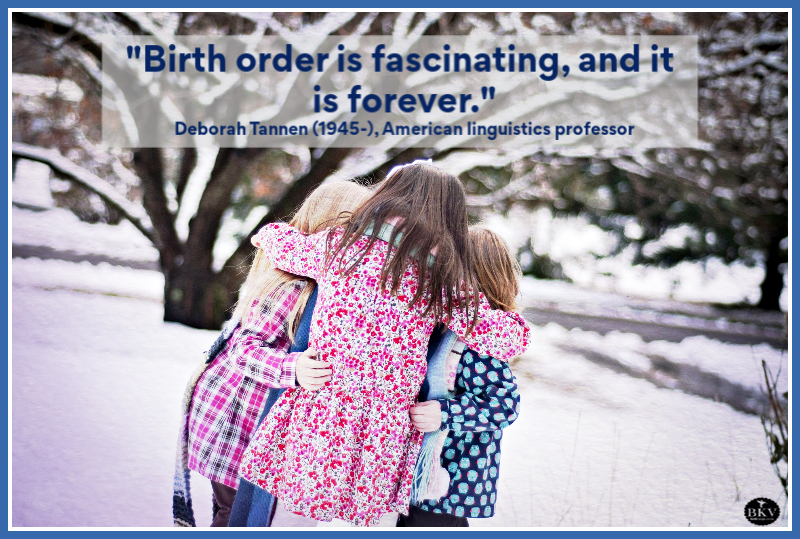 Birth order refers to the order we were born into our family. Are we the first-born? The baby? Or maybe we’re an only child. A simple enough definition, yes? Even so, many psychologists believe our birth order has a profound effect on our personalities. But are we forever-and-ever-amen put in our place because we were born first, second, or seventh in or family? What if we don’t have siblings? Or when birth order is mixed up because we’re a twin or there are a lot of years in between us and our siblings? 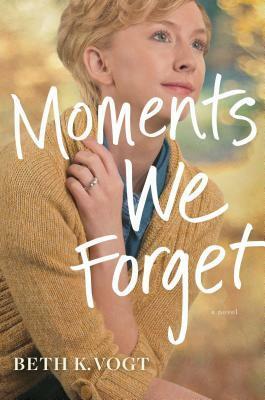 Jillian Thatcher, the main character in Moments We Forget, my upcoming May release, hopes to break free from birth order. Jillian’s the middle sister, stuck between Johanna, the oldest Thatcher sister, and Payton and Pepper, her younger identical twin sisters. And yes, Jillian’s the one who keeps the peace in a family fraught with tension. There’s no denying birth order affects us. We live out our birth order within the context of family. 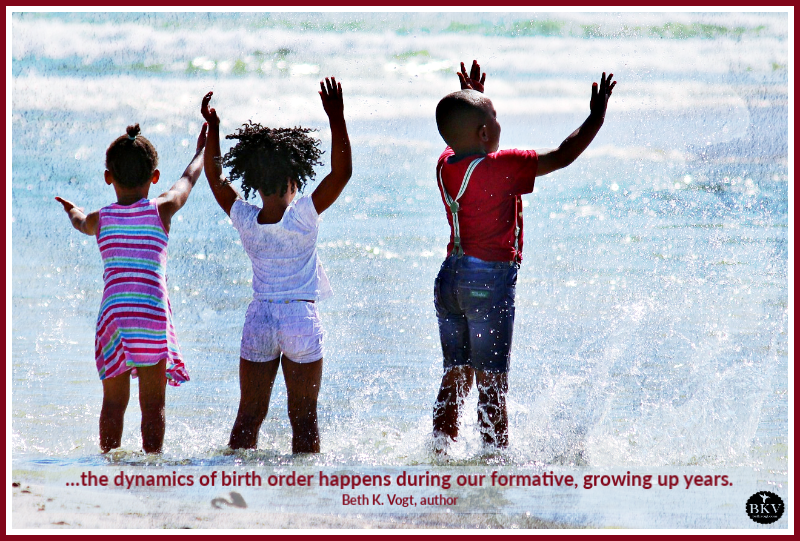 And the dynamics of birth order happens during our formative, growing up years. But as we grow up, we may want to move past our position in our family. However, there are two barriers to breaking free of birth order: our family and ourselves. Like it or not, we get used to the assigned family roles of “controlling” older sister or “outgoing, irresponsible” lastborn. 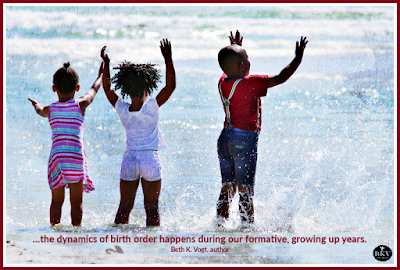 Breaking free of birth order requires intentionality. We need to realize we are more than our birthdate – that our life experiences and personal choices shape us too. We have to choose to expand how we define ourselves … as well as how we view the other people in our family. Connect more with Beth on Facebook and her Website. 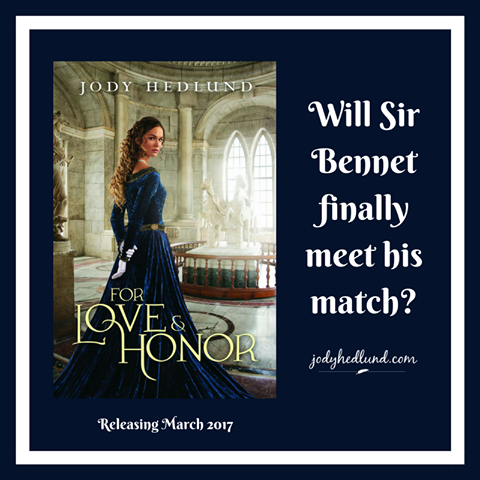 NEXT STOP IN THE HUNT: Stop #6 is Beth’s blog! 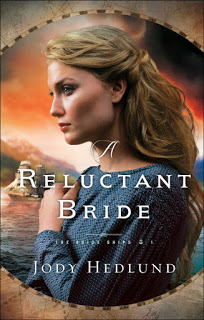 BEFORE YOU GO: Please Enter the Rafflecopter form below for a chance to win my upcoming release, A Reluctant Bride (Sorry, USA mailing addresses only). 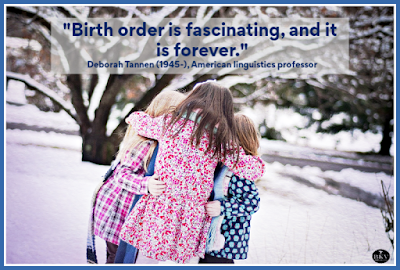 LEAVE A COMMENT: What is YOUR birth order? And how has it shaped YOU? 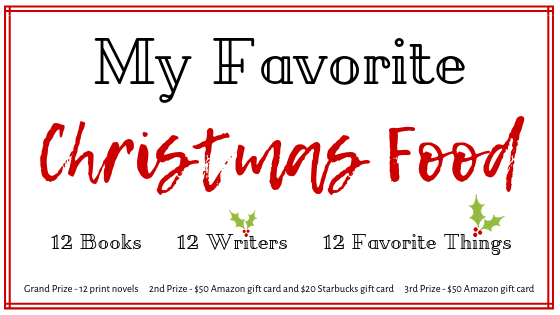 Welcome to My Favorite Christmassy Things blog tour as 12 authors (inlcuding me!) 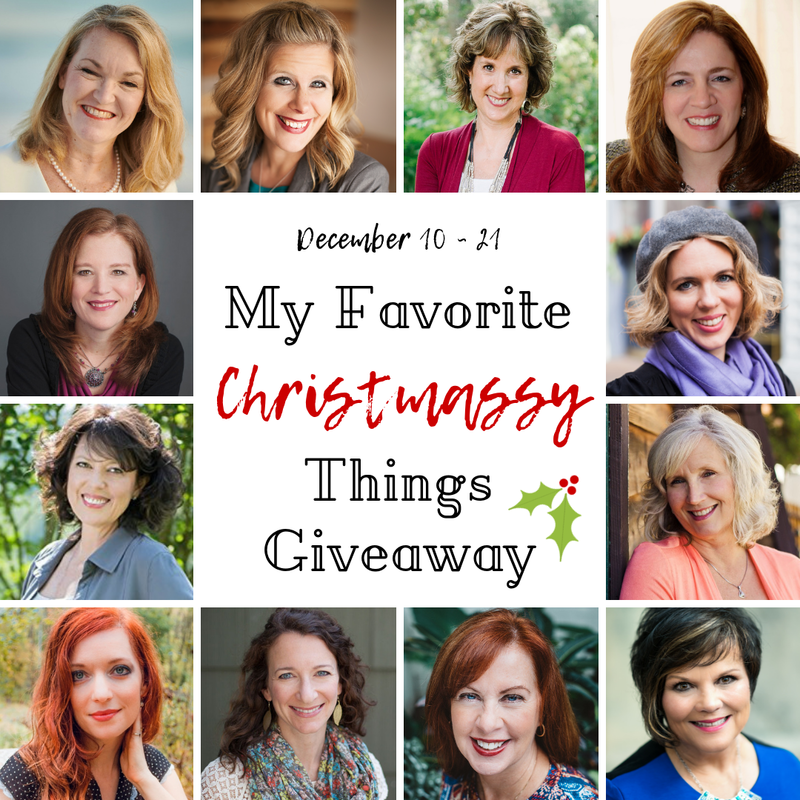 count down the days until Christmas by sharing our favorite Christmas things! Today is my turn and I'm sharing about my favorite Christmas FOOD. Let me tell you, picking a favorite Christmas food was SUPER easy! I actually think we should give a medal to the person who decided to make cookies an annual part of the Christmas food menu! Who doesn't love cookies?! Especially nowadays when there are SO many different kinds, especially at Christmas. When I was growing up, my mom was a huge fan of gingerbread cookies, and she made them every Christmas, frosting the gingerbread boys and girls in red and green. As it turned out, I wasn't (and still am not) a fan of gingerbread cookies. So in junior high, I decided to bake my own Christmas cookies and started making frosted sugar cookies. 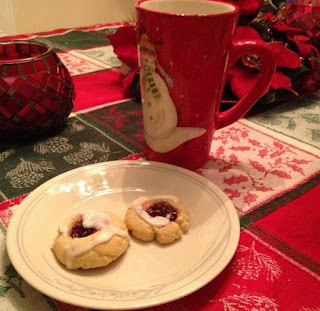 Of course, with marriage, I had to take into consideration my husband’s favorite Christmas cookie, his Nana’s jam tart cookies. Thankfully, I fell in love with not only him, but his Nana’s cookies. And so every year, I make jam tart cookies too. Because I like to share the wealth, here’s Nana’s recipe! Cream butter, sugar, egg, and vanilla. Add flour and baking soda. Form dough into the size of walnuts. Make a hole in the center with your finger. Fill the hole with jam. Bake at 375⁰ for 10 to 12 minutes until golden brown. Frosting: While the cookies are still warm, mix confectioners sugar, vanilla, water (enough to make the frosting run slowly). Dribble the around the edge of the warm cookies. 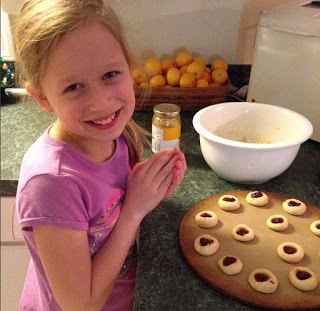 My youngest daughter a few years ago helping me make jam tart cookies! By the way, it's perfectly acceptable to eat jam tart cookies for breakfast because they have fruit in them. Hungry yet?! What is your favorite Christmas food? 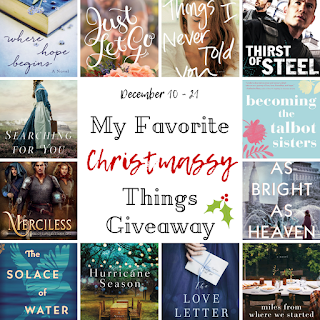 Visit the all the stops to check out additional giveaways! Draw open to US addresses ONLY, with apologies to our international readers. 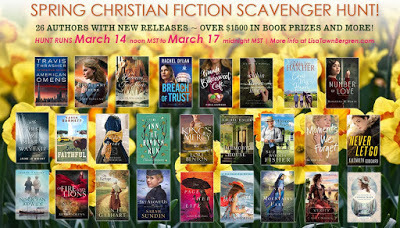 You have arrived at Stop #15 in the Christian Fiction Scavenger Hunt. WHEN: The hunt begins Thursday 10/25 at noon, mountain time and ends on Sunday 10/28 at midnight. HOW: Collect secret words (in RED) at each stop. Write them down as you go. 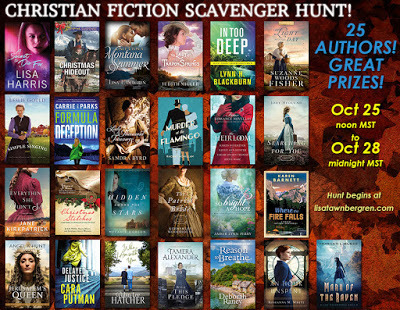 Submit your entry at Stop #26 (back on Lisa Bergren’s site) by Sunday night (10/28) at midnight. 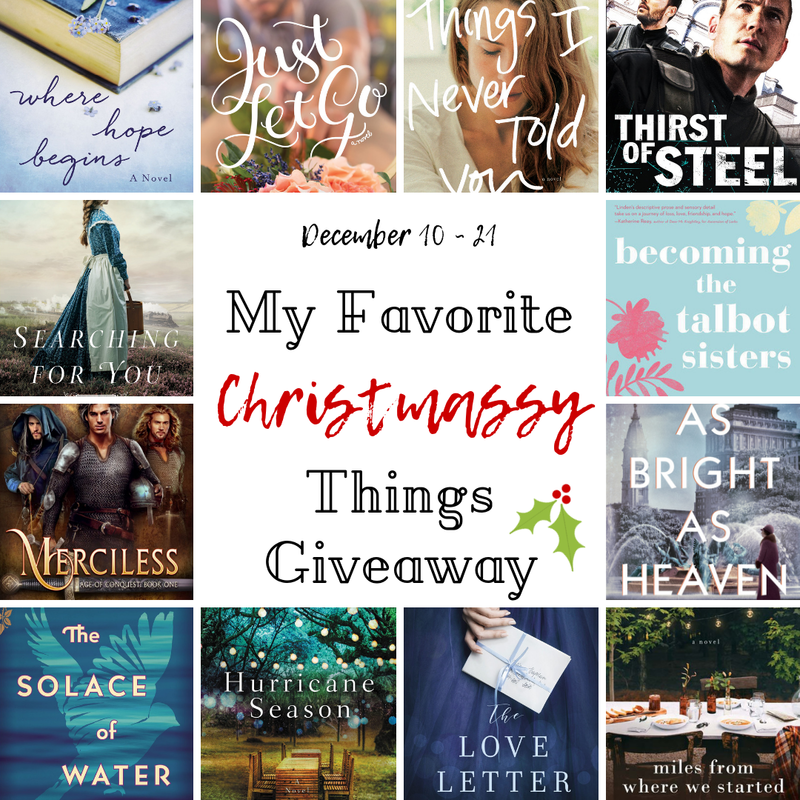 WHAT: Prizes include an ipad, gift cards, and books. 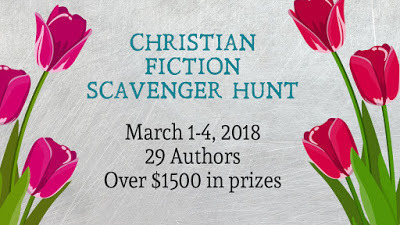 As a bonus, many authors are offering additional prizes at each of the stops! Writing fiction is Melanie Dobson’s excuse to explore abandoned houses, travel to unique places, and spend hours reading old books and journals. 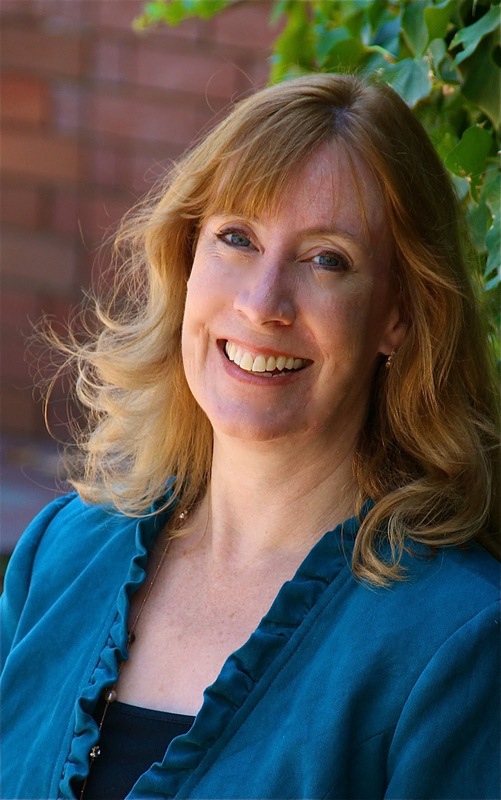 The award-winning author of twenty books, Melanie enjoys stitching together both time-slip and historical novels including Hidden Among the Stars, Catching the Wind, and Chateau of Secrets. 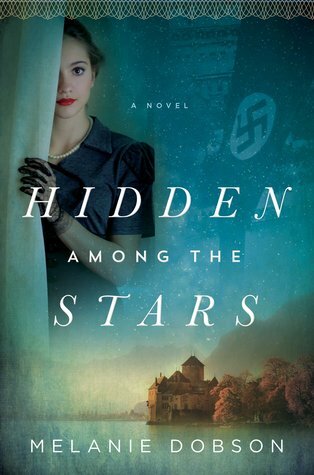 Here's a little bit more about Hidden Among the Stars: In 1938, a young Austrian named Max Dornbach asks his friend Annika to hide Jewish heirlooms at his family’s estate on the picturesque Lake Hallstatt. But when Max also brings a young Jewish woman to hide at the castle, it complicates Annika’s feelings and puts their entire plan―even their very lives―in jeopardy. 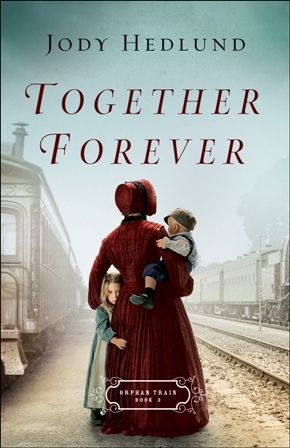 Eighty years later children’s bookstore owner Callie Randall discovers a cryptic list in an old Bambi book, and she partners with a local history professor to uncover a gripping World War II mystery about what happened to Annika and this lost treasure. Near the end of World War II, Nazi officers began hiding what they’d plundered. Gold. Jewelry. Trunks of cash. Some of it was dumped in Austria’s lake district as they fled south, and divers have spent decades searching for lost treasure in the depths of these alpine lakes. 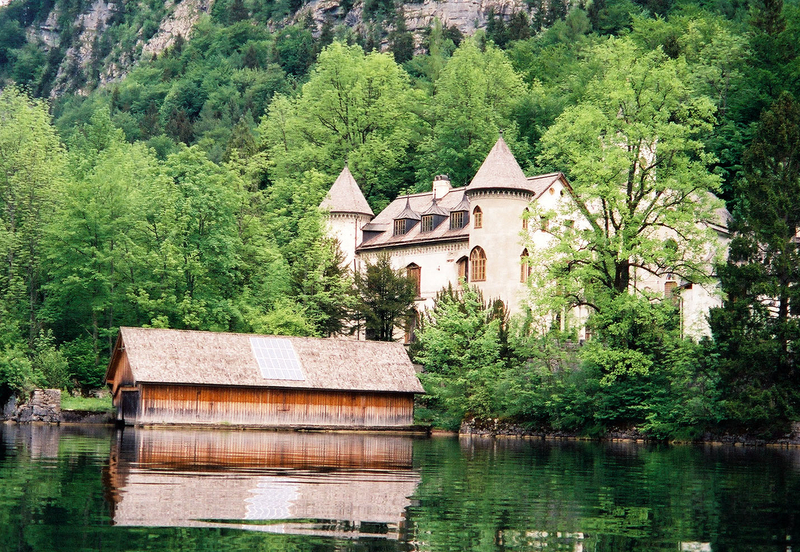 Fifteen years ago, my husband and I boated across Lake Hallstatt, captivated by Austria’s snow-capped mountains, an abandoned castle, and the storybook town on the shore. The waters plunged to more than four hundred feet below us with numerous hiding places under rock ledges, felled logs, and shifting sands. As I marveled at the beauty around us, I wondered what secrets this lake harbored far below a diver’s range. 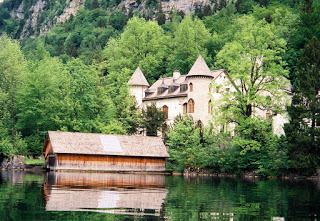 A story about Lake Hallstatt and its castle ignited in my mind, but like the purported treasure, it seemed to play a game of hide-and-seek. For years I researched and wrote and mulled over the disjointed pieces of this story, but it never quite came together. When my mailbox filled with rejections, I moved on to write another novel—and then twenty more. Recently I rediscovered the event in the Gospel of Luke where after a long night of fishing—a long night of failure—Jesus asks Simon Peter to return with his empty boat to the sea. After Peter failed to catch fish on his own, Jesus called him into deeper waters. Scary waters. A place, perhaps, where Peter had never fished before. Peter was an expert at his craft. He knew that fish were caught in the shallows, during the night, but Jesus asked Peter to trust him with his dreams, his talents, his training. When Peter obeyed, sailing out in the light, Jesus filled his nets to overflowing. Now I’m not a gifted fisherwoman. In fact, I’m terrified of fish. But I realized Peter’s story mirrored my own journey. 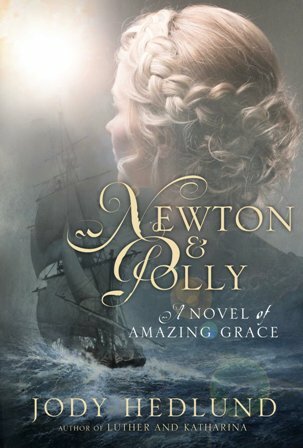 In order to reclaim my novel about Austria’s hidden treasure, I had to step back into the waters of this story and sail out to the depths. Use the tools that I’d learned over the years to cast my net, and then, with the grace of God, plunge far below the surface of my heart and mind to fish out all the stubborn pieces. The legendary treasure in Austria’s lake district has eluded divers, but after a fifteen-year journey, I’ve found a treasure of my own. Hidden Among the Stars is different than any story I’ve published before, perhaps because it took years of searching before God called me to sail. I’m forever grateful that I followed Him into the deeper waters. Connect more with Melanie on Facebook and her Website. NEXT STOP IN THE HUNT: Stop #16 is Melanie’s blog! 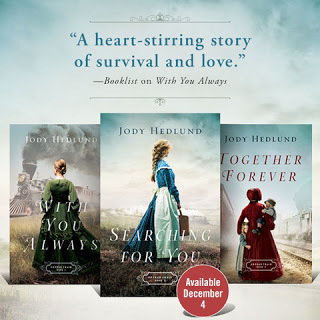 BEFORE YOU GO: Please Enter the Rafflecopter form below for a chance to win my entire orphan train series (historical romance) . LEAVE A COMMENT: If you could travel any place in the world, where would it be and why? Recently I returned from a national writers’ conference. One of my favorite things to do there was talk with aspiring writers and answer any questions they had about publication and being an author. Even though I’m home now, I still love the opportunity to answer questions, most of which come via emails. 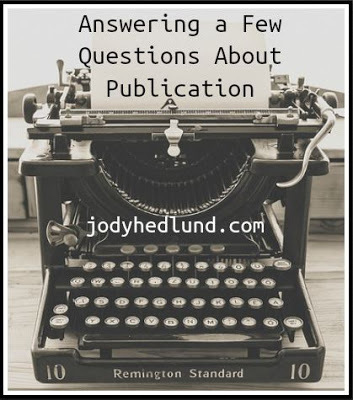 While I don’t always have time to write back, sometimes I answer the questions here on my blog, especially when they’re the kind of questions other writers might have too. Recently I got just such an email from Hannah, one full of lots of great questions. Hannah said: I am currently an English major who would love to have a career in writing novels. I would love it if you could share how you got started in the writing world and became successful. How long did it take before you first got published? How long does it generally take for you to write a novel? Do you work for someone who gives certain deadlines or are you self-employed and work at your own pace? 1. How long did it take before you first got published? It took me approximately 7 years (nonconsecutive) from when I first started writing seriously as an adult to when I got my first book contract. During those years, I read every writing how-to book I could find, and I wrote five practice novels that now collect dust in a closet and will never see the light of day. My sixth book became my debut novel. The number of years and practice books it takes will vary from writer to writer. BUT what won’t vary is the NEED TO LEARN. 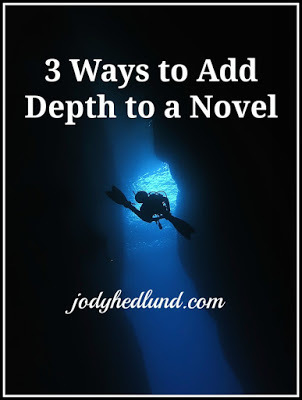 Every writer has to take the time and do the hard work of learning the craft of writing by reading technique books, practicing, getting critiques, and honing their skills. 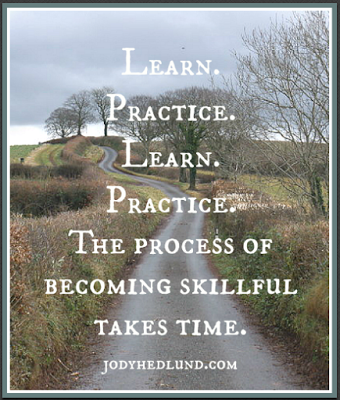 All too often nowadays with the ease of self-publishing, I see too many writers skip the hard work of learning and practicing. Whether going the traditional or self-publishing route, a writer won’t find success without taking the time and work necessary to become skilled. Once a writer is consistently getting feedback (from critique partners or editors) that their work is starting to look ready for publication, my advice is to seek out agents and writing contests. I made my big break into traditional publication by finaling in a prestigious writing contest. After my final, I re-contacted the agent who already had my manuscript in her slush pile. She offered me representation a few days later. A few months after that I had a three book deal. 2. How long does it generally take for you to write a novel? After writing close to 30 books and having about 25 of them published, my writing muscles are much stronger now than when I first started. I like to compare writing to running. When a person first decides to take up running, they lumber down the street and can hardly go a block without having to stop for a break. After years of practice and running consistently, they can often go many blocks without needing to stop. Maybe they’ve even worked up to running marathons. 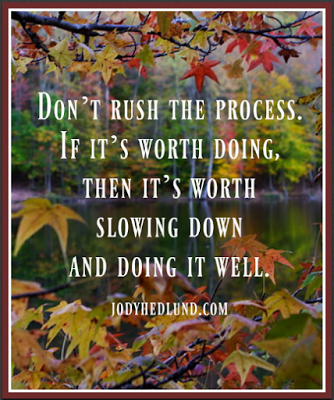 Writing works the same way with lots of slow lumbering, often much fumbling, and eventually going longer with stronger output. I started by writing 500 words a day during my kids’ nap-times. It took me a year to complete one book. That was all I could manage as a busy (and exhausted!) mom. Now, after years of writing, I can complete the first draft of a novel in 8 to 10 weeks. My kids are teenagers and more independent, and I’m in a season where I can devote more time to my writing. 3. Do you work for someone who gives certain deadlines or are you self-employed and work at your own pace? With my traditional publishers, I’m under contract to write a certain number of books in a specific time period. Generally for me, that means I turn in a book every 6 to 9 months. During contract negotiations, my publisher gives me deadlines for when I need to turn in the first draft and also with the various stages of editing. 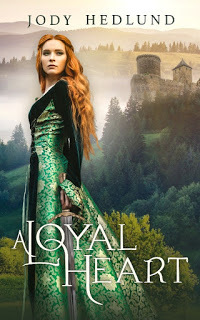 For my indie books, I don’t have any deadlines, although I do try to work carefully around my traditionally published books so that releases don’t conflict with each other. Even without strict deadlines for my self-pubbed books, I’ve still found it very helpful for my productivity to establish my own goals and publication schedules. I try very hard to stay on track with the schedule, especially so I can remain timely for the editors, cover designer, beta readers, etc. who are a part of my self-publishing process. All that to say, I approach my writing career in a business-like way. Not everyone does nor do they need to. It’s just what works for me and my personality. I like to establish yearly goals (sometimes even plotting out my writing and publishing schedule for a couple of years). Then I know what I can fit in and where. Your turn! How long have YOU been writing? What is YOUR writing process like and how long does it take YOU to complete a novel? You have arrived at Stop #10 in the Christian Fiction Scavenger Hunt. WHERE: The hunt begins with Stop #1 at Lisa Bergren's site. The hunt is best viewed using Chrome or Firefox as your browser (not Explorer). WHEN: The hunt begins Thursday 3/1 at noon, mountain time and ends on Sunday 3/4 at midnight. There is NO RUSH to complete this hunt—you have all weekend. So take your time, reading the unique posts along the way! HOW: Collect a clue (in RED) at each stop. Write them down as you go. Submit your entry for a grand prize at Stop #30 (back on Lisa Bergren’s site) by Sunday night (3/4) at midnight. WHAT: Prizes include 5 grand prize winners. As a bonus, many authors are offering additional prizes at each of the stops! Make sure you check out the bottom of this post for the rest of the information you need for your clue and to continue to the next blog in the scavenger hunt! 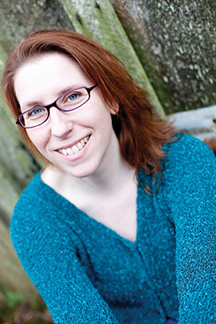 Sarah Sundin is the award-winning author of ten novels, including The Sea Before Us. 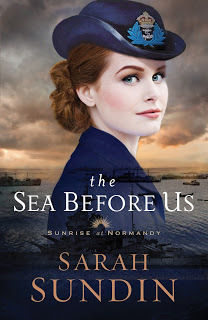 Her novels When Tides Turn and Through Waters Deep were named to Booklist’s “101 Best Romance Novels of the Last 10 Years.” A mother of three, Sarah lives in California, works on-call as a hospital pharmacist, and teaches Sunday school. 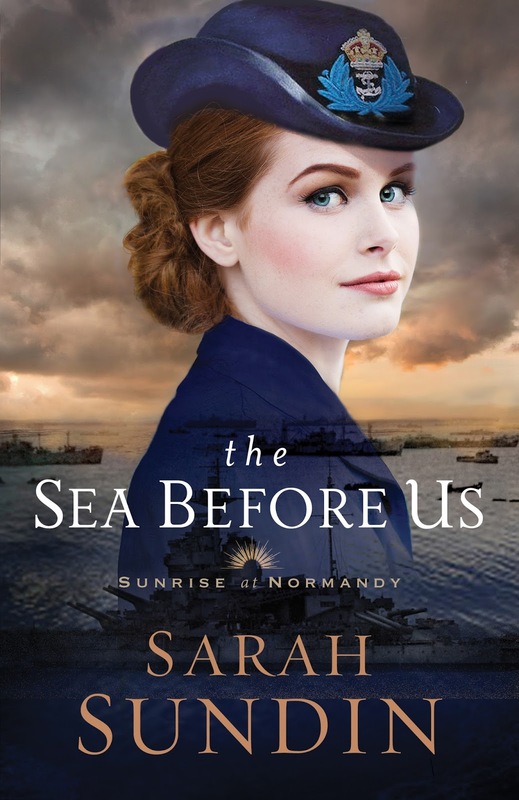 Here's a little bit about her newest novel The Sea Before Us: As D-day approaches, American naval officer Lt. Wyatt Paxton is teamed up with Dorothy Fairfax, a British officer. Once they piece together family and reconnaissance photos to map Normandy, will Wyatt’s bombardment plans destroy what Dorothy loves most? Join me in welcoming Sarah today! 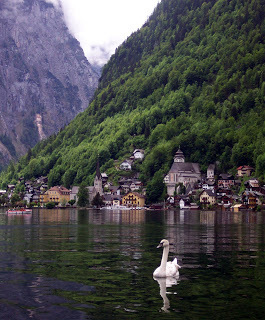 England is a popular and scenic tourist destination for good reason. If the World War II era interests you, don’t miss these sights! Deep underground in the Westminster district, Prime Minister Winston Churchill met with his cabinet during the dark days of the Blitz. It’s fascinating to see how the military staff and personnel lived and worked, as you view the cabinet room, map room, and typists’ rooms—as well as a museum on Churchill’s life. Not to miss for anyone who enjoyed Darkest Hour! In London, this beautiful museum showcases equipment and stories of England at war from World War I to modern times. The World War II exhibit includes a German V-2 rocket, a cutaway peek inside a Lancaster bomber, and one of the “little boats” that evacuated the British troops from Dunkirk. Kid-friendly too! A train ride up to Cambridge, a cab ride to Duxford, and you arrive at a gem! Duxford served as an RAF airfield during the Blitz and as a US fighter field later on, and this air museum has excellent interactive exhibits about the air war. Bonus: you may even see an RAF Spitfire and a US B-17 Flying Fortress take to the air! We did! Off the beaten path—and you have to make reservations and get security clearance in advance—but worth it. This little-known manor just north of Portsmouth served as Allied Naval Headquarters for D-day, and Gen. Dwight Eisenhower set up his battle headquarters on the grounds. The map room is a sight to see! And in the library, Eisenhower made his momentous decision on June 5, 1944 to launch the invasion on June 6, even while a storm raged outside. 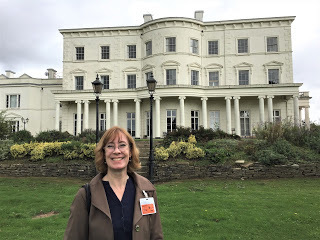 Sarah Sundin at Southwick House, Southwick, England.So while enjoying your tea and crumpets, take in a little modern history as well! Connect more with Sarah on Facebook and her Website. 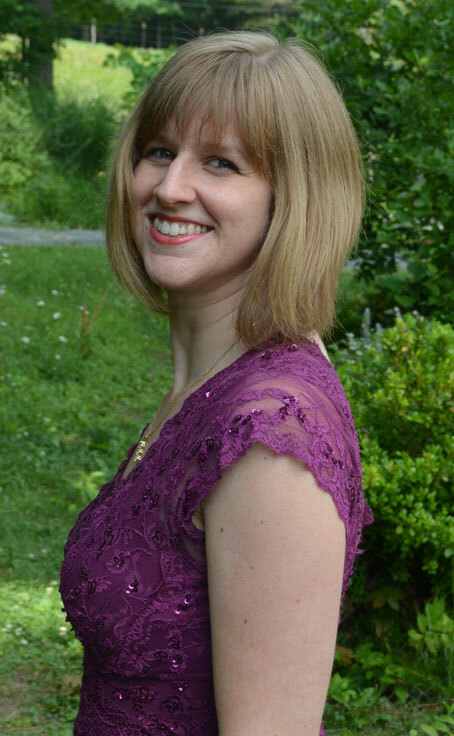 NEXT STOP IN THE HUNT: Stop #11 is Sarah Sundin’s blog! BEFORE YOU GO: Please Enter the TWO Rafflecopter forms below for a chance to win my latest medieval YA, A LOYAL HEART and my upcoming historical romance, TOGETHER FOREVER. 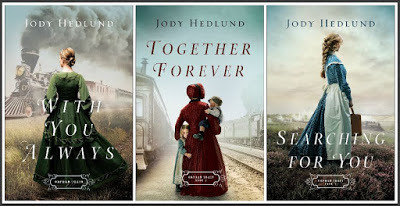 LEAVE A COMMENT: What is your favorite time period for a historical novel? This is an excellent question and one that many budding writers struggle with no matter their age. 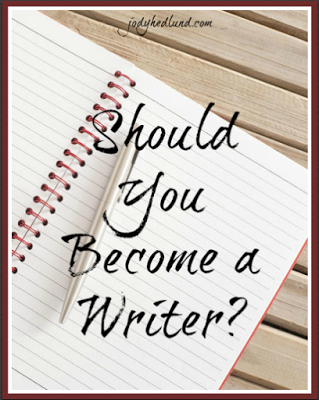 First, let’s define what it means to “become a writer.” Many people love to put words on paper in a variety of formats and do so for personal inspiration or pleasure. There are some writers who decide to pursue publication with their inspired words because they want to share their stories with others. Then there are those who want to make a career out of sharing their words and stories with others. So my simple answer is, yes, if you love writing, be a writer. Bring life to the words bubbling inside you and find great pleasure in it. Should you share your words with others? And should you pursue a career of sharing your words? Should you share your words with others? Just this week my husband told me about a facebook post from a high school student getting ready to self-publish her first book. As he read the post, I cringed. And then I said: No one should ever publish their first book. Ever. My daughter is a freshman in college studying to become a nurse. If you went to the ER, would you want a freshman nursing student to treat your injury? She has to study, learn, grow, and practice (A LOT) before people will want her to fix their problems. You have to take the long hard road of a educating and practicing the craft of writing before people will want to read your words (that is anyone besides family and loyal friends). A first book is simply part of that process of becoming a writer. In other words, don’t rush to share your words with the world. Take your time to become the best writer you can be first. Should you pursue a career of sharing your words? Let me be honest. Being a full time author (where writing and publishing books is your main job) is extremely tough in today’s saturated book market. Yes, you may hear stories of both traditional and self-published authors hitting it big. But the large majority of career authors struggle to make a living off their books. I’ve been writing full time for close to ten years. I’ve published over twenty novels, mostly with traditional publishers with a couple of indie books in the mix. I haven’t gotten rich off my writing. And in rubbing shoulders with LOTS of authors, I’ve come to realize that most of us are in the same boat. We’re staying afloat, but our careers are more like steamboats chugging upstream, not luxury liners with smooth sailing. All that to say, if you want to make a career out of writing, be prepared for the realities of a competitive publishing market and the possibility of having a supplemental job that can pay the bills. Rather than end this post on a negative note, I’ll close by saying that if you have a love and passion for writing and want to make a career out of it, then definitely go for it. Chase after your dream. I can honestly say I LOVE my job. I can’t imagine any other career more fulfilling than sitting down every day and creating stories. But as you chase after your dream, be prepared to work harder than you ever have for anything else. Give it all you have. And with enough hard work and determination, someday you may find yourself chugging upstream too. What about YOU? What advice would YOU give if someone asked you if they should become a writer? I'm doing something a little different on my blog today! 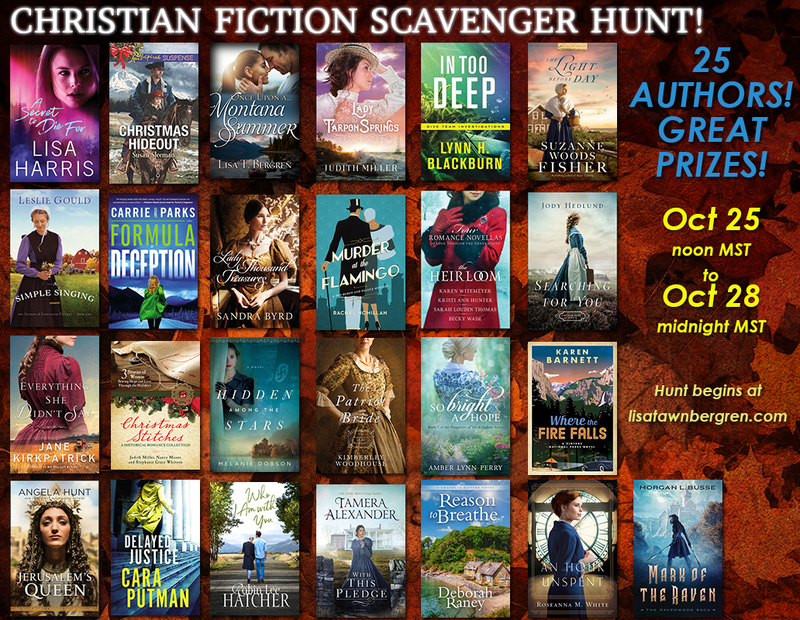 I'm participating in the Fall 2016 Christian Fiction Scavenger Hunt! Please join in the fun! You have arrived at Stop #3 in the hunt. WHERE: The hunt begins with Stop #1 at Lisa Bergren’s site. The hunt is best viewed using Chrome or Firefox as your browser (not Explorer). WHEN: The hunt begins Thursday 11/3 at noon, mountain time and ends on Sunday 11/6 at midnight. There is NO RUSH to complete this hunt—you have ALL WEEKEND. So take your time, reading the unique posts along the way! HOW: Collect a clue (in RED) at each stop. Write them down as you go. 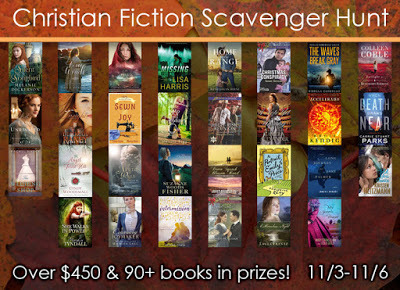 Submit your entry for the grand prize at Stop #31 (back on Lisa Bergren’s site) by Sunday night (11/6) at midnight. WHAT: Final prizes include $450 and over 90+ books. 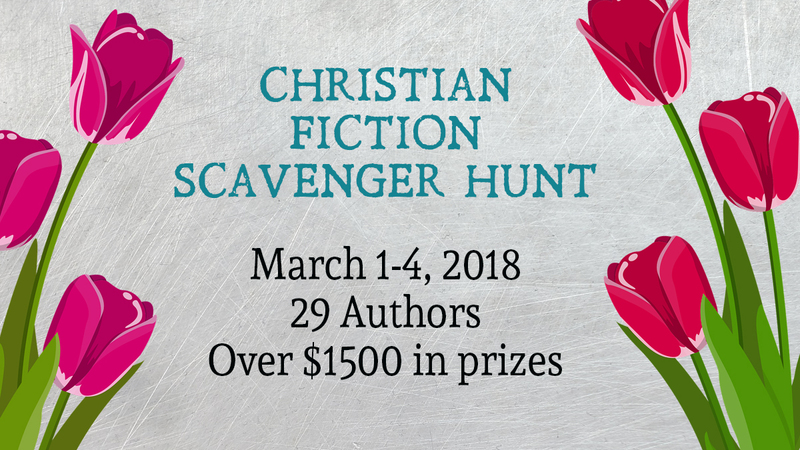 As a bonus, many authors are offering additional prizes at each of the stops! Roseanna pens her novels beneath her Betsy Ross flag, with her Jane Austen action figure watching over her. When not writing fiction, she’s homeschooling her two small children, editing and designing, and pretending her house will clean itself. You can connect with her on Facebook and her Website. 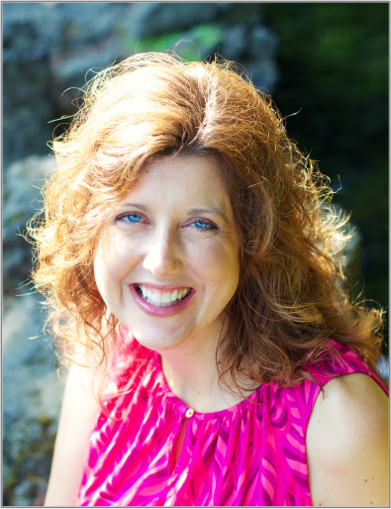 Join me in welcoming Roseanna today! When I started writing as a child, I fell into a predictable trap: writing characters too much like me. As I matured as a writer, I quickly realized that wouldn’t fly. How boring would it be if all I ever wrote were versions of myself? And so I’d for decades sworn off writing character with personalities like mine. 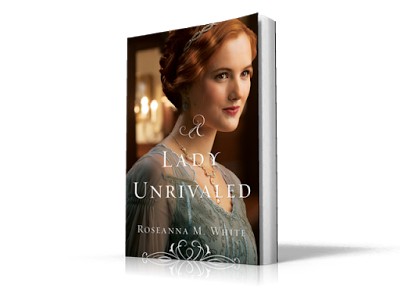 Until Ella came along in A Lady Unrivaled . Ella is more like me than any character I’ve written since I was 12. She’s optimistic. Brimming with hope. Always eager to believe the best of people. Who fully believes that many of life’s dark clouds could be dispelled if people greeted them with the sunshine of a smile, with faith that the Lord would bring joy again in the morning. During the editorial process, of course, Ella changed a bit, developed more. She became a little bit less me and a little bit more her own person. Still, I have to admit I was nervous to send Ella out into the world. Because if readers didn’t like her . . . did that mean they didn’t like me? I doubt I’ll have another character so similar to me for many, many years. But for now, I’m so glad to have my full-of-sunshine Ella. My character who knows that God is always faithful, even when people aren’t. Who has suffered loss—and who has come to the conclusion that if we value life so highly we’ll mourn its passing for years, we also need to live it to its fullest every day. You’ll have a chance to win a copy of A Lady Unrivaled at the next stop on Roseanna’s blog! To find out more about her book go to Amazon, Barnes & Noble, or Christianbook.com. NEXT STOP IN THE HUNT: Stop #4 is Roseanna White’s blog! BEFORE YOU GO: Please Enter the Rafflecopter below for a chance to win my latest historical, Newton & Polly , which is based on the true story of John Newton, the writer of Amazing Grace, and the love of his life Polly Catlett. LEAVE A COMMENT: What is your favorite hymn? It's my privilege to host Janice Hardy here on my blog today. 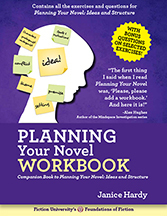 Janice is the author of several fantastic writing resources, including Planning Your Novel: Ideas and Structure , a series of self-guided workshops that help you turn your idea into a novel, and the just-released companion guide, the Planning Your Novel Workbook . 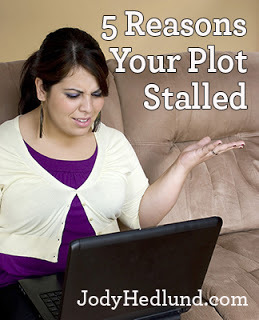 Today, Janice shares some insights on how our plots tend to stall. But she doesn’t just stop with common plot problems. She gives insightful tips and excellent questions we can ask to help us jump-start our stalled plots. Join me in welcoming Janice to the blog! The plot is the engine of the story, and like any engine, it can stall. In most cases, the plot simply runs out of fuel and once you refill the story tank, the plot drives forward again. It's just a matter of figuring out which fuel your particular engine needs. Maybe you're missing the goal (the common unleaded fuel of the story world), or there are no stakes, or no character motivation. The wrong characters might be filling the tank, or the protagonist is making the wrong choices. Refill the tank with the right mixture, and you'll be back on the road in no time. Plot mechanics are pretty straightforward, so when a plot stalls, it's usually due to a small number of reasons. Let's take a look at the most common ones. The lack of a scene goal is the number-one reason plots stall. There’s nothing for the protagonist to do to drive the plot forward. She doesn't want anything, isn't trying to stop anything, she's just living her day or performing random tasks that aren't leading to anything. In some cases, the problem is bigger and the novel itself is lacking the goal. This is common with premises novels, where the idea isn't formed enough to create a solid plot, so there's nothing external for the protagonist to do. For example, a romance where the goal is to "find love again" is too vague to plot. It's the specifics of how the protagonist finds love, and the choices she makes to act in ways to achieve that goal that create the plot--such as, take up a hobby to meet potential partners. • What does your protagonist want in the scene? • How does this goal advance the plot to the next scene? • What must be done to resolve the core conflict of the novel? • What are the key steps to resolving the core conflict? • Does the stalled scene contain one of those steps? Should it? A lack of stakes is the second-most common problem with stalled plots. The protagonist has things to do and problems to solve, but the outcomes don't matter and don't affect the bigger story at all. Solving the problem gains the protagonist nothing, and failing to solve the problem loses her nothing. If you cut the scene, the overall novel wouldn't change. • What will happen to the protagonist is she fails? • What doesn't the protagonist want to see happen? • How will this scene affect either the characters or the story? • How does failure here make things worse for the protagonist or people she cares about? Sometimes your characters take a joyride with no destination in mind. Sure, they're driving all over the story, seeing the sights, having a grand time, but there's no reason for them to be in that car. The protagonist is doing what she's told, but she has no personal reason to do it--she's just taking turns as you call them out to her. Without a reason to act (the character motivation), there's nothing driving the scene goal. • Why is the protagonist acting? • Is there a personal reason or is it because the plot says so? • What makes the protagonist care in this scene? • Who might be hurt if the protagonist doesn't act or makes the wrong decision? Backseat drivers, right? They think they know the best route to take to get anywhere, but they end up shouting directions and getting everybody lost. If the wrong character is the one driving the scene, your plot can end up down a path the story wasn't supposed to go in. It might be a small side trip, or a major detour. It might even be the right direction, but the wrong character is driving, so when the plot gets there, the next leg of the journey goes the wrong way. • Is someone other than the protagonist making the decisions in the scene? • Does the scene goal belong to someone other than the protagonist? • Do the stakes apply to someone other than the protagonist? • Would the scene be stronger or go in a better direction if a different character was driving it? Plots rely on character choices to move forward, so if the protagonist makes the wrong choice, the plot can stall. If the choice is too easy or doesn't affect the story or characters at all, it's not adding fuel to the plot engine. Choices should make things harder for the protagonist, and create uncertainty about what comes next. They move the plot forward by giving the protagonist the next goal. 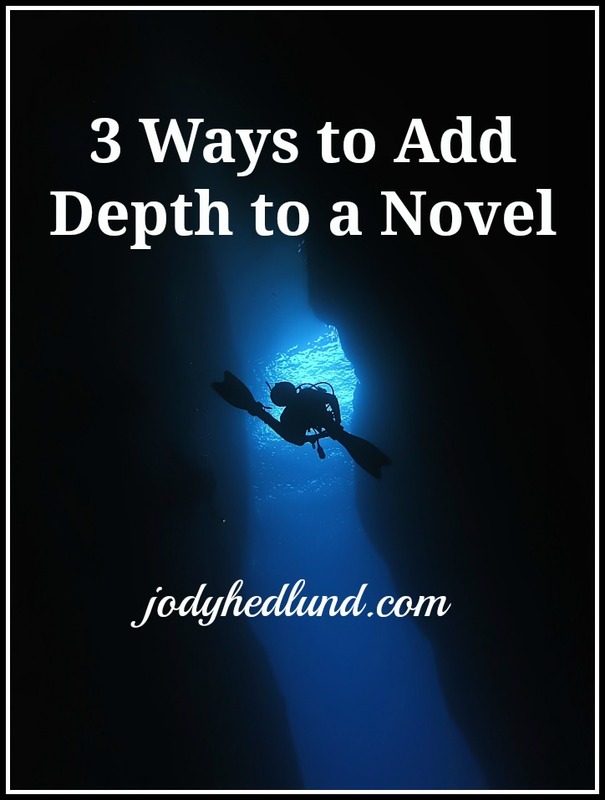 How to restart the plot: Look at moments when the protagonist makes a choice. If there's no conflict to making that choice, or the choice isn't hard, then the decision won't matter. If the choice is obvious (such as, press the button everyone lives, don't press it and they all die), it's not really a choice. • Is the choice a real choice or one where the "right" choice is obvious? • Does the choice offer options that all have potential problems and stakes? • Are there consequences associated with the choice? • Does anything change based on this choice? A stalled plot is annoying, but it's possible to restart it with the right fuel. Before long you'll have that engine sputtering back to life. Has a stalled plot ever left you stranded? How did you get it moving again? 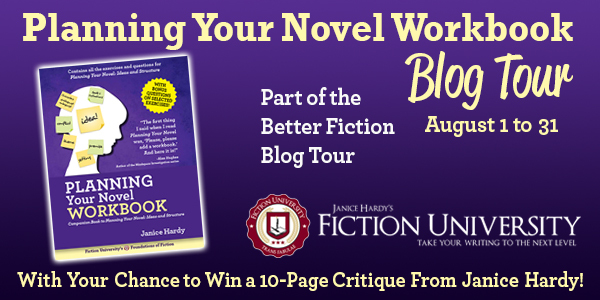 Win a 10-Page Critique From Janice HardyThree Books. Three Months. Three Chances to Win. To celebrate the release of Janice's newest writing books, she's going on a three-month blog tour--and each month, one lucky winner will receive a 10-page critique from her. It's easy to enter. Simply leave a comment and enter the drawing via Rafflecopter. 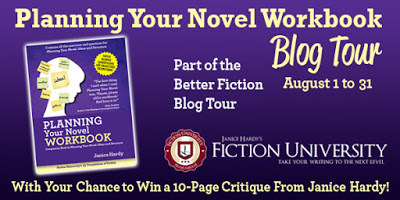 One entry per blog, but you can enter on every stop on the tour. At the end of each month, Janice will randomly choose a winner. Janice Hardy is the award-winning author of The Healing Wars trilogy and the Foundations of Fiction series, including Planning Your Novel: Ideas and Structure , a self-guided workshop for planning or revising a novel, the companion Planning Your Novel Workbook , and the upcoming Revising Your Novel: First Draft to Finished Draft . She's also the founder of the writing site, Fiction University. For more advice and helpful writing tips, visit her at www.fiction-university.com or @Janice_Hardy.